For those of you stocking up on new accessorizes for autumn winter, take a look over on Accessorize. I've already featured a few key pieces for the season, but they are truly killing it with their bag selection for autumn. From big shearling back packs to simple statement clutches, it's a smorgasbord of moderately priced wardrobe fluffers. 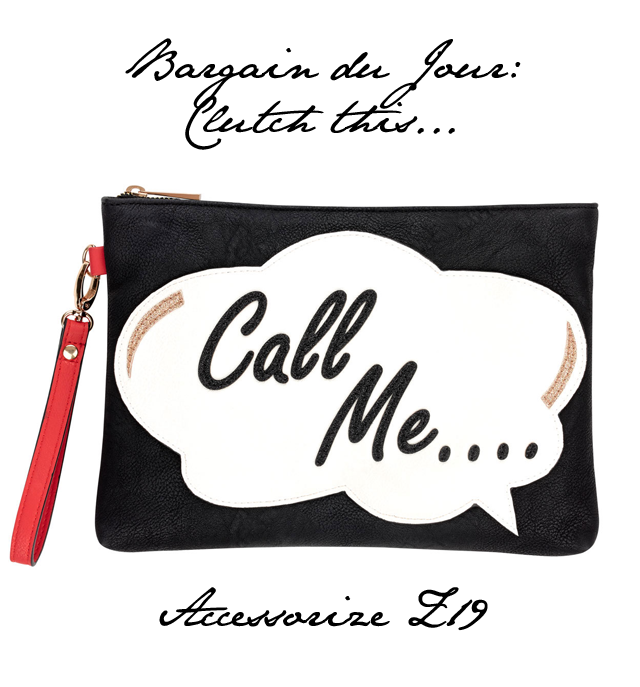 My latest obsession, and today's Bargain du Jour, is the "Call Me" Clutch. Coming in at £19, it's a cheap and cheerful addition to the daily statement style.